"Lots of Insights into Seduction, But Difficult to Implement"
It provides an interesting take on the history of seduction literature. This may be useful for 'inspiration' for those more advanced daters who can use it to improve and carve their skills with supporting mindsets and ideas. The content is based on recounts in literature and the authors own perspective of famous societal figures in history. The rules the author establishes are relatively abstract for the most part and requires an advanced level to implement beyond 'mindsets'. If you are at an advanced level and know how to study, research and apply information in the form of new mindsets and techniques of your own this is a great book to give you more ideas. For others, this will likely be more of a hindrance (confusing) than helpful due to the lack of practical implementation advice. The book provides the only review of publicly accessible information on seduction through to the year 2000. It is a huge work of research on the part of Robert Greene, who is know for his rigorous research and investigation of human behavior. To pull it together he studied every seductive character that he could find in history and pieced together their characters, approaches and strategies to seduce. It is a really commendable piece of work and many of the coaches to come out of the seduction community have studied and learned from this book - it's a classic. I interviewed Robert Greene to discuss the book in late 2013 - you can listen to the interview here. It's a great interview where we discuss amongst other things, some of the modern day seducers and how they are putting seduction into practice. Highly recommend you listen to it. Robert Greene's writing style is deep, technical and best suited for those who are used to book based study. It's not high on 'entertainment' factor, so requires this type of mindset to go through and get value from it. The purpose and content of the book is not immediately or directly practical advice. The focus is primarily on mindsets, strategies and approaches of some of the greatest seducers we have seen throughout time. This makes it unsuitable for anyone just starting out or without success in dating already. What you want is some quick wins to improve your motivation, this book is more likely to overwhelm you and get you lost in possible details and your own interpretation of how it should be implemented. The good news is that many of the seduction and attracting women advice today has been in some way inspired by the research in "The Art of Seduction", so when you are learning from other training courses - you in fact, many times, learning aspects of what was originally covered in this book and expanded upon and developed into more practical hands-on advice by others. 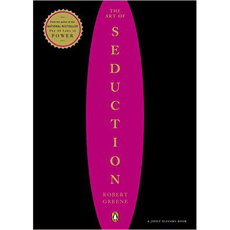 For those who are interested in understanding the history of seduction and really mastering it, this is a must read at some point. While much of the learning points are relatively abstract, for someone with experience, you should be able to see how these fit in to the process of seduction. Where I see the real value in this book, is to provide new ideas or insights or perspectives into why what you are doing is working - or not working. I myself took ideas from this book in my early years for experimentation and to further round out my skills. This is a clear case of a book that some men will use to develop and master new skills, while for others... it will just lead them to confusion. It's not for everyone - and there's a right time and a wrong time to read it. I'd recommend you get this book if you are already adept at meeting and attracting women and you have a 'studious' and learning by yourself nature. That will enable you to identify new ideas to try and experiment with inside this book - without these though, the book is more likely to confuse and distract you than help. The book is an excellent piece of work - just make sure it's right for you before you get it.